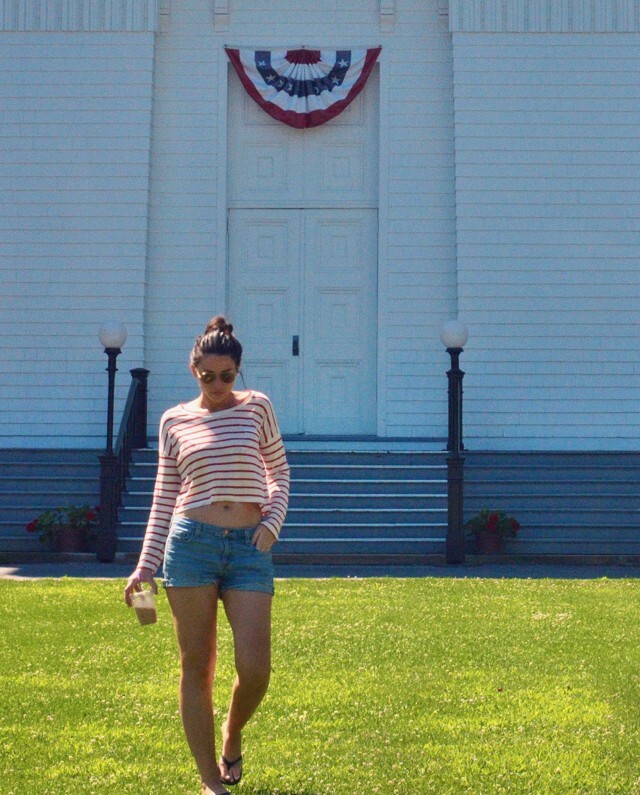 With 4th of July landing midweek I was able to spend five whole days in the Hamptons. I went for morning runs on the beach, watched the fireworks in Montauk, had beautiful long dinners and nightly dance parties. Pretty perfect if you ask me. The only downside: coming back to work today. This entry was posted in Fashion and tagged Forever 21 striped shirt, helane crowell, J.crew cutoffs, Laney Crowell. Bookmark the permalink. This look’s very peaceful and romantic. To bad we all have to go back to the office today. Happy Monday! Sounds like an incredibly fun Fourth of July. I spent mint at a beach house in Connecticut (who even knew Connecticut had beaches? I didn’t). 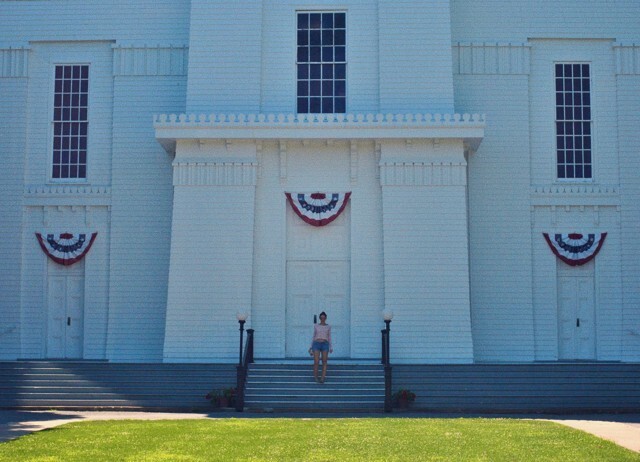 I recently posted my own 4th of july photos on my blog as well. I went to a nice beach house in WESTPORT. There are alot of nice propertie’s there but you need to have alot of money to afford them. I like Lanie’s pictures too. I love the look and feel of your blog, thank you for sharing your style. By the way, I am doing a giveaway, and would love for you to take part! Its on my blog so you should check it out! this is great! adore the outfit…and that background is AMAZE! !